We all hold the power to help and heal our own selves. Our body repairs the wounds when we get injured. When we cry, our hearts and minds automatically comfort us. Even as you sit motionless, there are a million processes keeping your body functional. This intelligent machine needs to be well oiled, and a good diet, hydration, and proper sleep amongst other things help it be healthy. We also cannot ignore the nourishment of our spiritual side. The healthiest foods and regular exercise can keep your body healthy, but unless you are healthy spiritually, you will never be truly healthy. Your spiritual energy is what gives you that glow or aura. You may have seen this glow on yourself or others. We often neglect caring for this energetic side of us. This energetic side of us controls our intuition and is our internal compass it helps to guide us through all of life’s decisions. Healing is an effective way to restore spiritual energy, here is how you can do it in 6 simple steps. Lie down or sit in a chair where you cannot be disturbed. Close your eyes and take 5 deep breaths into your belly here. Join your hands in a namaste and gently press your palms and fingertips together. Bring your hands up to touch the centre of your forehead and down to the heart centre. These areas contain two powerful chakras (third eye and heart chakra) and this movement activates them. Rub your hands gently to generate heat. Place your right hand over your heart center and your left hand over your belly button. This will again activate powerful chakras. Keep your eyes closed and visualize white light being sent out of your hands into your body. 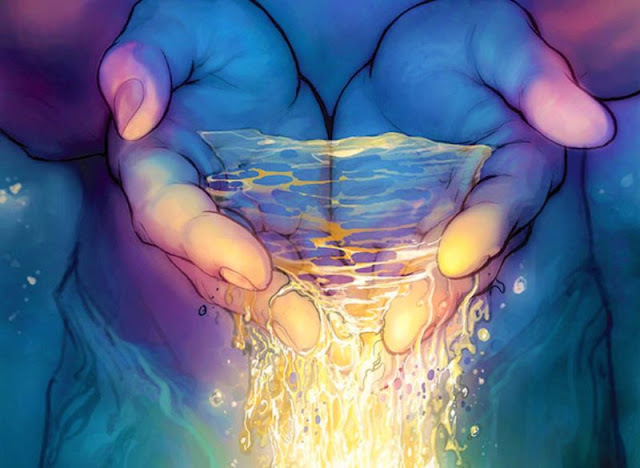 See the light flowing into your body and healing your energy centers. You can even visualize the white light forming a protective shield all around you. When you think that you have received enough healing from the white light, open your eyes and shake your hands gently. Get up and do some light stretches so that your blood flows through your body. Drink a glass of water and keep yourself hydrated for the rest of the day as well. For best results, do the healing every day for at least 15 minutes.